A raw food diet has a lot of things to recommend it. While not everyone is ready to make such a drastic change in their diet, many people will find it works well for them. It focuses on plant based foods, though some people include protein from raw meat and fish. If you are interested in this type of plan, I heartily recommend you read, Beyond Broccoli, Creating a Biologically Balanced Diet When a Vegetarian Diet Doesn’t Work by Susan Schenck. However, if you are more interested in a vegan approach, one of the best programs to help you learn how to transition to a raw food diet is “Eating A Raw Food Diet” by Yuri Elkaim. He promises more energy and better health when you follow this way of eating. He also has an interesting story to tell about how changing his diet changed his life, and how he got started eating raw food. It’s worth a read, so be sure to check it out when you get the chance. The following video explains what is included in this plan, and the article below explains more fully what a raw diet is, and the benefits to adhering to one. Click here to learn more about the Raw Food Diet Plan! One cool thing to note is you can sign up for a FREE 6-part Energy Secrets e-course when you visit the above link, which gives you a more thorough picture of what the plan is about and what you can expect. 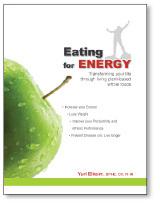 Here ia an article written by the author of the Eating For Energy Raw Food Diet Plan which explains more about raw food diets. Eating a raw food diet is essentially a way of eating that does not involve the heating of foods. Part of the premise lies in the fact that heating foods above 118 degrees fahrenheit destroys their inherent food enzymes, a vast majority of vitamins, minerals, phytonutrients, and their all important life force. Heating foods radically changes their chemical properties making them less “recognizable” in once ingested. For instance, heating an egg renders into a solid mass whereas it began in a liquid, gelatinous. This occurs because the heat of frying or boiling denatures the protein structure within the egg, essentially making it more solid. As a result, this heated egg is now much more difficult for the human digestive tract to break down. Another process that occurs with cooking foods is known as glycosylation. This is when sugar literally attaches to protein molecule. Glycosylation has been linked to the premature breakdown of the body’s cell and many other undesirable health conditions. The reason that the natural food enzymes are so important is that our bodies have only a limited ability to produce its own enzymes. Bear in mind that our bodies produce metabolic and digestive enzymes. The latter are used to breakdown foods whereas the former are essential to every single reaction in the body. But the problem is that we only produce a finite number. When you eat cooked foods, you force your body to use more of its own enzyme reserves to digest them. Overtime, this is just like continually withdrawing money from your bank account without making any deposits. Eventually, you will run out of enzymes! 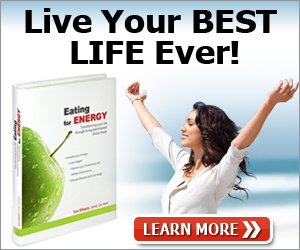 When you have no more enzymes, you no longer have any life – it’s that simple. Eating raw foods help you make more “deposits” into your enzyme bank account, allowing your body to preserve its own precious enzymes for more important uses such as breaking down problematic cells, immune complexes, and more. What Can You Eat on a Raw Food Diet? A raw food diet is mainly vegan for the simple reason that it isn’t healthy or advised to eat raw animal products. Therefore, a raw diet contains no dairy, meat, or other animal products. Other than that, the choices are endless. Most raw foodists have diets that consist of vegetables, fruit, nuts, and seeds. The amazing part is that the possibilities are truly endless with raw foods. Many people think of not being able to eat meat or wheat as a huge limiting factor. But the fact remains that processed, dead foods are dangerous to your body and there are tons of delicious and nourishing raw food recipes that will give you so much more than you can possibly imagine. I started following a predominantly raw food diet in 2007 and it literally changed my life. From improved skin complexion to having more energy and mental clarity, I can’t tell you how much better you can look and feel by eating the way nature intended for you to eat. Growing up on dead foods like wheat, dairy, and meat literally destroyed my body and at the young age of 17, I lost my hair to Alopecia as a result of my immune system which had gone hay-wire and began attacking itself. Again, this was caused by years of abusing my body with foods that it was allergic to. However, since eating a raw food diet, my health has never been better. My hair has returned (although I keep my head shaved because I like it like that now) and I have more energy than a teenager on red bull! That’s why I wrote Eating for Energy. If you’d like to experience the same kind of health and vitality then I urge to make the raw food diet more apart of your lifestyle! Yuri Elkaim is one of the world’s leading holistic nutrition and health experts. If you want to lose weight and live your healthiest and most energetic life ever, then you can learn more about his raw food diet book, Eating for Energy and get started with a FREE 6-part Energy Secrets e-course by visiting Raw Food Diet Plan at EatingforEnergy.ca today.